Law enforcement is working harder than ever to end illegal operations in America. The raids are resulting in some pretty insane weed busts. The legal cannabis revolution might be sweeping the nation, but that’s not stopping illegal growers from producing plants for those of us who have yet to feel the legalization impact. The DEA is working harder than ever to find and destroy illegal cannabis crops, making it more difficult for individuals to obtain prohibited THC products. Over the recent years, many of the raids have resulted in recorder-breaking busts, with illegal cannabis grow operations continuing to get larger and larger every day. While these insane amounts are sure to be outdone soon, here are five of the biggest weed busts in America. For some reason, Pike National Forest in Jefferson, Colorado has become a popular place to grow cannabis illegal. Not just one or two plants, but acres and acres of lush foliage. In October 2015, DEA agents raided one operation that resulted in over 20,000 plants, 700 pounds of dried flowers and multiple weapons. What makes this bust particularity interesting is the fact that the national park sits on federal property. As far as the Feds are concerned, cannabis is still illegal, even if the land is in the legal cannabis capital, Colorado. Think twice before deciding to lay down roots in this forest. The New York City Police Department faces some of the toughest criminals and situations in the country. So, it should come as no surprise that one of the biggest cannabis busts they’ve seen actually started in British Columbia. BC bud is a popular strain. This fancy foreigner is commonly grown using hydroponic systems, then smuggled into America through a variety of different ways. In 2009, the NYPD came across an import operation in Queens that resulted in the seizure of $150 million worth of cannabis. When they’re not finding what they need, the government often devises plans to set up individuals, in order to catch them performing an illegal act. This seems like it should be illegal, but somehow, it’s not. 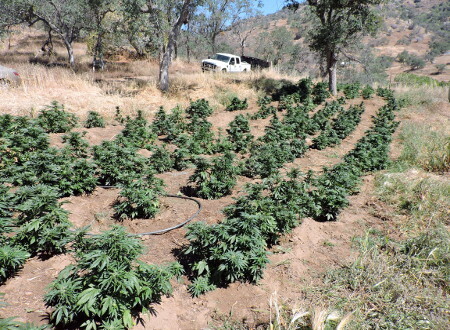 2009 was a hard year for the cannabis industry, with officials in Fresno County, California enacting a new anti-cannabis tactic called “Operation Save Our Sierra.” The bust resulted in more than 82 arrests and over $1 billion in seized cannabis. It’s never a good idea to transport drugs across state lines, let alone traveling over country borders. With so many border patrol agents and random car searches, the chances of getting caught, and the severity of charges, increase dramatically. With the legalization of cannabis in Washington, D.C., it was thought that many other states would follow suit of our Capital. However, that was not the case. The neighboring state of Virginia continues to have some of the strictest drug laws in the country and, apparently, go out of their way to enforce the rules. A crude train headed to D.C. through Virginia was followed by law enforcement and eventually stopped. 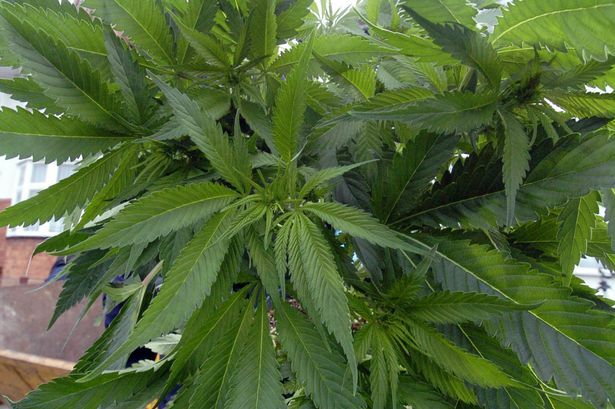 The resulting raid landed officials with 30,255 cannabis plants. What are some of the biggest busts you’ve ever heard of? Share with us on Facebook, Twitter or in the comments below.